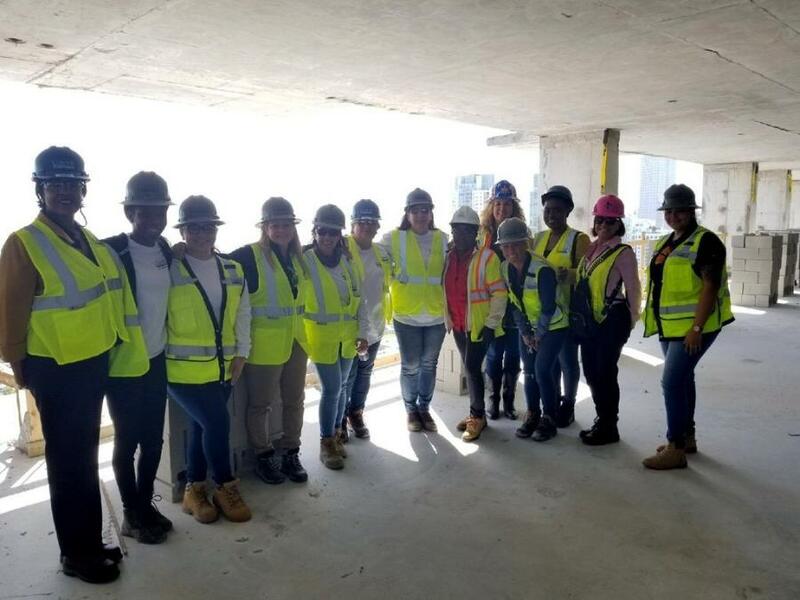 The National Association of Women in Construction’s (NAWIC) Miami Chapter kicked off “Women in Construction Week” this April with a site visit to Miami Worldcenter, one of the country’s largest mixed-use development projects currently under way in downtown Miami, in an effort to raise awareness of the opportunities available for women in the construction industry and to emphasize the growing role of women in the field. The National Association of Women in Construction's (NAWIC) Miami Chapter kicked off “Women in Construction Week”; this April with a site visit to Miami Worldcenter, one of the country's largest mixed-use development projects currently under way in downtown Miami, in an effort to raise awareness of the opportunities available for women in the construction industry and to emphasize the growing role of women in the field. During the tour, NAWIC President Rhonda Wimberley and approximately 18 other members of the chapter toured the development's various components currently under construction, including its high-street retail promenade, the 43-story Caoba apartment building and the Paramount Miami Worldcenter condominium tower and amenity deck. For more information, visit www.nawicmiami.com.